Engineered and manufactured right here in the U.S., the Practix OK-250 is the largest and most productive American made Fusing and Laminating Press. The machine is a ruggedly built fusing press that combines quality construction and high productivity with competitive pricing and unequalled after-sales support. 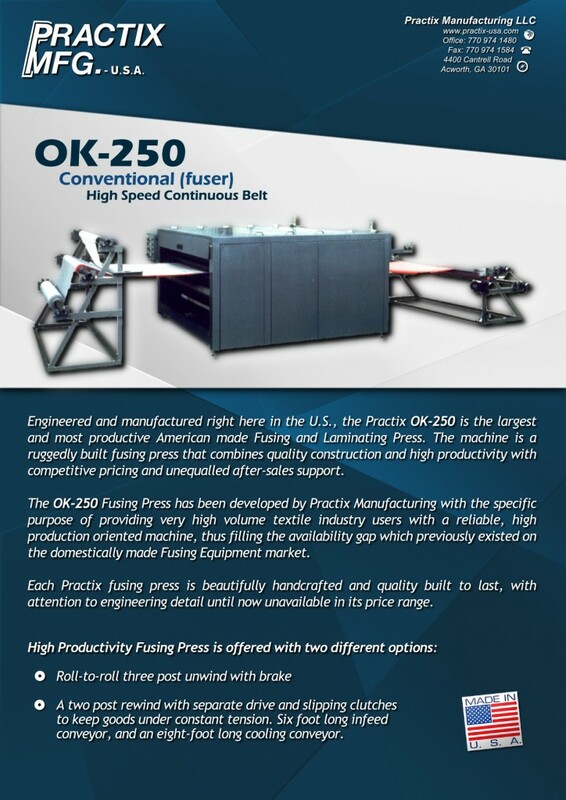 The OK-250 Fusing Press has been developed by Practix Manufacturing with the specific purpose of providing very high volume textile industry users with a reliable, high production oriented machine, thus filling the availability gap which previously existed on the domestically made Fusing Equipment market. Two post rewind wit separate drive and slipping clutches to keep goods under constant tension. Six foot long infeed conveyor, and an eight-foot long cooling conveyor. Independent temperature control for top and bottom heaters. 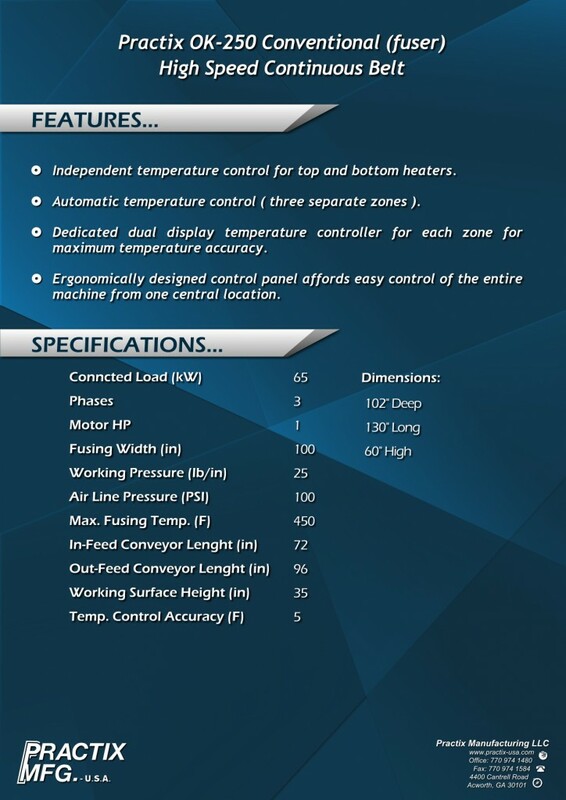 Ergonomically designed control panel affords easy control of the entire machine from one central location.